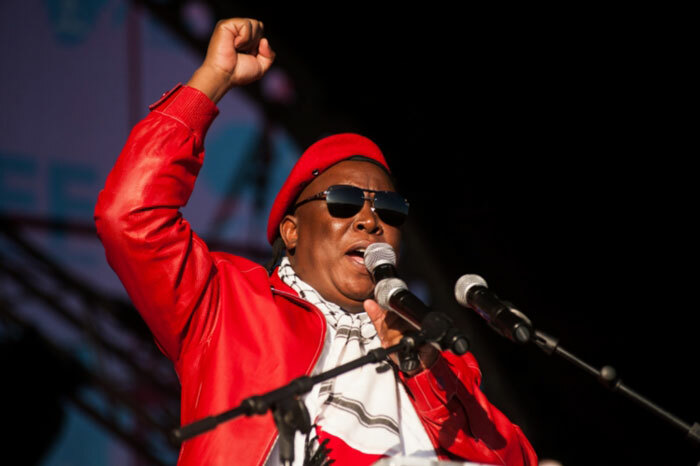 Julius Sello Malema (born 3 March 1981) is the leader of the Economic Freedom Fighters, a South African political party, which he founded in July 2013. He previously served as President of the African National Congress Youth League from 2008 to 2012. Malema was a member of the ANC until his expulsion from the party in April 2012. He has been described by both Zuma and the Premier of Limpopo Province as the “future leader” of South Africa. Malema, a Pedi, was born and grew up in Seshego, in the then Transvaal Province of South Africa. His mother was a domestic worker and a single parent.He joined the African National Congress’s Masupatsela at the age of nine or ten. His main task at the time, was to illegally remove National Party posters. Malema was elected a chairman of the Youth League branch in Seshego and the regional chairman in 1995. In 1997 he became the chairman of the Congress of South African Students (Cosas) for the Limpopo province, and was elected as the national president of that organisation in 2001. Malema graduated from Mohlakaneng High School, Seshego, Limpopo. In 2010, he completed a two-year diploma in youth development through University of South Africa (UNISA). Malema was elected a chairman of the Youth League branch in Seshego and the regional chairman in 1995. In 1997 he became the chairman of the Congress of South African Students (Cosas) for the Limpopo province, and was elected as the national president of that organisation in 2001. In 2002, Malema led a Cosas march by school pupils, through Johannesburg; the march was marked by incidents of violence and looting. 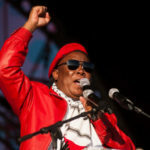 Malema was elected as the president of the ANC Youth League in April 2008 and was later re-elected unopposed for a second term on 17 June 2011 at Gallagher Estate in Midrand when Lebogang Maile, the only opposing nominee, declined the nomination.